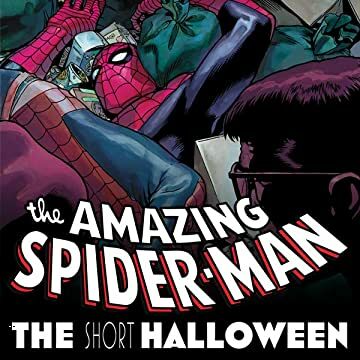 Collects Amazing Spider-Man Family #4-6 and Spider-Man: The Short Halloween. Two stars of Saturday Night Live make their Marvel debut with an all-new story set right on the bustling, hot dog juice covered streets of New York City. Halloween is coming early this year as Spidey is knocked out during the Greenwich Village costume parade and an intoxicated reveler in a Spidey costume takes his place! Then, spinning out of the revelations surrounding the return of Harry Osborn, we have a tale that sheds more light on Harry and Peter's longtime friendship. And, over in the AMAZING SPIDER MA'AM, it's the moment you've been waiting for as Aunt May comes face-to-face with her ARCH NEMESIS! 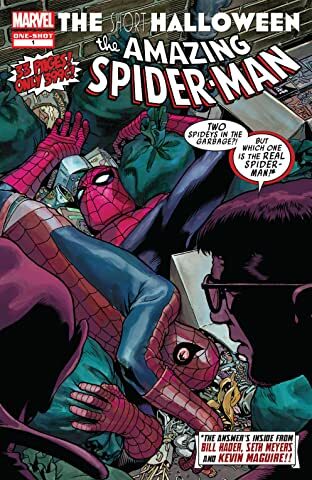 Plus, Peter Parker gets trapped in a life-and-death situation with a child who needs his help! 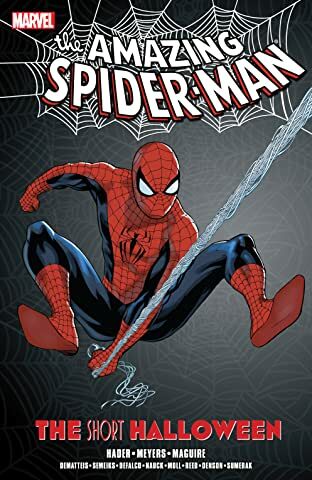 Then watch as Spidey teams up with brand new foe SCREWBALL in a race against the clock to rescue a young child, and in the Private Life Of Peter Parker, new pal Carlie Cooper shows Pete how a real cop solves crimes. All this plus a special appearance from SWINEY GIRL - Daughter of PETER-PORKER, THE SPECTACULAR SPIDER-HAM!